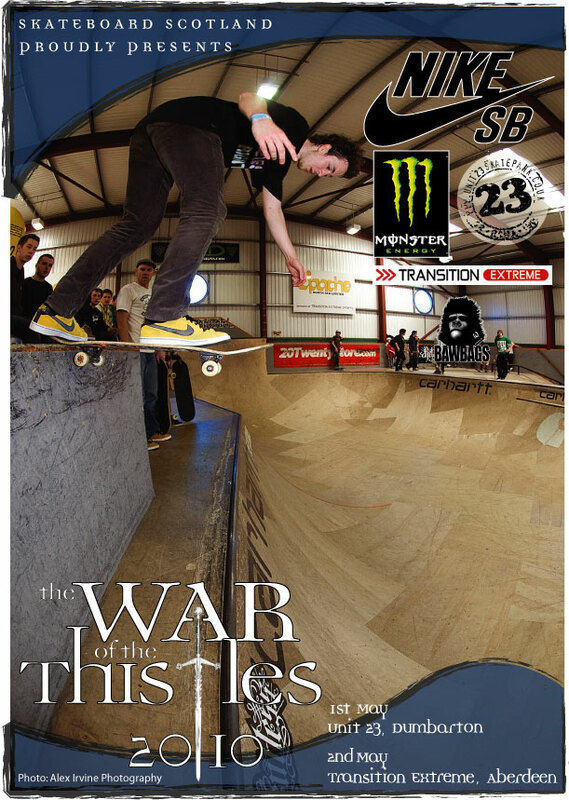 Day 2 of War of the Thistles is going down at Transition Extreme Skatepark in Aberdeen.Following on from Saturday’s mayhem there will be further ripping taking place. There’s over £2500 worth of *cash prizes* to be handed out over the course of the two days so get in there and try and win some of it! We’re stoked to have the support of so many sponsors for this year’s WOTT again. It’s going to be an awesome weekend of skating, we look forward to seeing you all there!